Fiat started the year with the preview of the Urban Cross concept at the 2016 Auto Expo in Delhi. From the look of it, the Urban Cross had a similar design as the Punto Evo apart from all-LED headlamps, unique alloys and a wild looking bright red cabin. It did generate some level of excitement, and I was curious to see the final production version. And just to do that, we drove to Fiat's office in Pune where we were handed the keys of two brand-new Avventura Urban Cross cars. The production version, as expected, did get a host of changes. How good or bad are they? Read on. 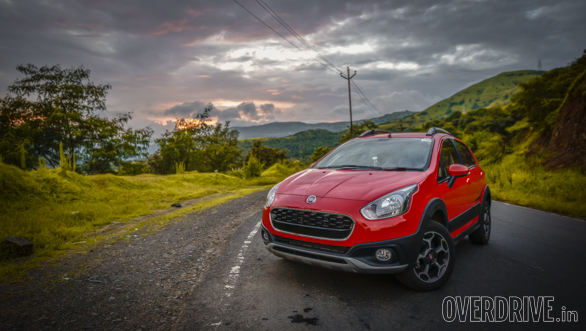 I reached the location in our long-termer Fiat Avventura Abarth. 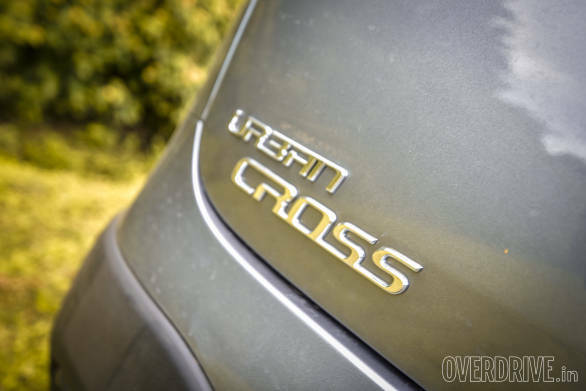 On seeing the Urban Cross for the first time, I was confused and even called Fiat to confirm whether they had given us the right cars. This is because the Avventura Urban Cross looks almost identical to the Avventura. Subtle changes come in the slightly updated front grille with a glossy finish while the bumper design has been tweaked with a new aluminium-finished skid plate. The side again looks similar to the Avventura but with the matte cladding and brighter roof rails. The petrol gets 16-inch Scorpion alloys, whereas the diesel retains the same wheel design as seen on the Punto Evo with a slight colour revision. The red shade of Urban Cross Abarth looks more appealing with its contrast black detailing, whereas the grey shade doesn't stand out and looks similar to the regular hatchback. 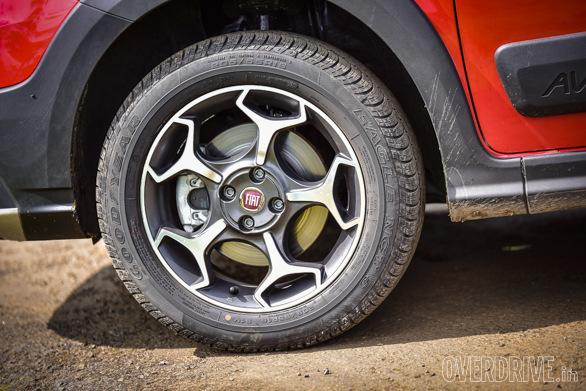 On the Avventura Urban Cross, Fiat has given the rear-mounted spare wheel a miss and the effect it interesting. Not that the spare wheel on the Avventura is an eyesore, but with the cleaner rear profile the muscular bits on the design are highlighted more evidently. The handsome looks of the Urban Cross will definitely strike a chord with its target audience. The rear wheel mechanism was a pain to operate anyway, so won't be missed. 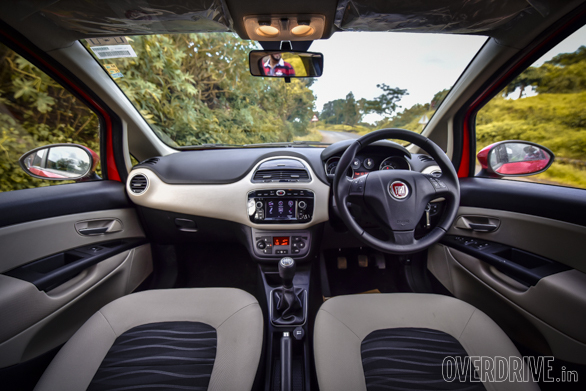 Inside, the Avventura Urban Cross shares its cabin layout with the Punto Evo. However, the colour combination used in these trims is brighter than that of the Avventura, making the cabin feel more airy and spacious. I liked the beige-ebony combination that runs all over the cabin.The seats are also finished in a dual-tone fabric. Fiat states that there will be a host of options, including a red shade of leather. If it is similar to the one seen on the concept, the seats might look a bit loud for some tastes. The Emotion variant of the petrol model comes equipped with many bells and whistles, such as the multi-function steering wheel, automatic climate control and a rear AC vent. The diesel is offered in Active and Dynamic variants only. The top-of-the-line Dynamic variant misses on the above-mentioned comfort features. While these are more comfort and convenience-centric features, the diesel variants also miss out on a very important feature  front airbags. Considering the increasing focus on safety, these really should have been standard. 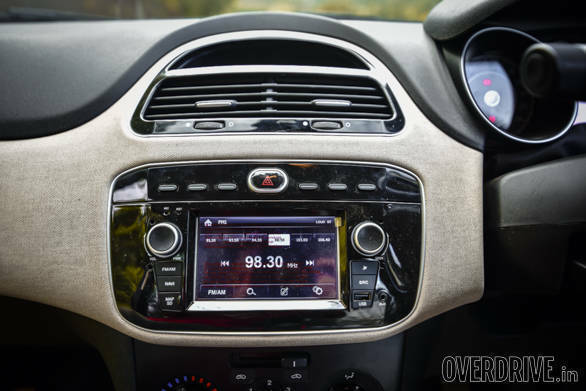 The new 5-inch touchscreen system, a feature that has been introduced in the top trims of Punto and Linea, is offered as standard on the Emotion and Dynamic variants. The display of the screen is smart, but the user interface feels dated and looks more like an aftermarket add-on. The interface was a tad laggy. Also, it did not connect either the Apple or Android devices via USB. However, the unit worked seamlessly when paired through Bluetooth. The cabin space is identical to the Avventura. If you are 6'1", this is not a back seat you'd want to spend long hours travelling in. In addition to the tight space, the seats feel uncomfortable and lack sufficient cushioning. The rear knee room was quite compromised when I adjusted the front seat to my comfort level. The storage options are identical to that of the hatch and that's not a lot. 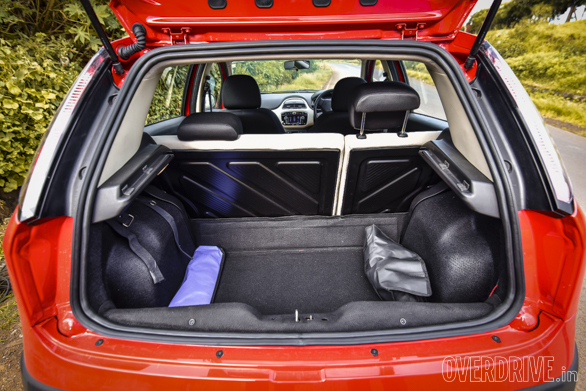 The boot space remains unchanged as the spare wheel well was unused in the Avventura. 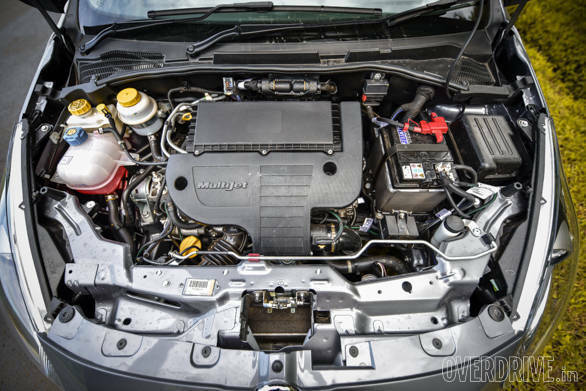 Under the hood, the Fiat Avventura Urban Cross is powered by the same 1.4-litre T-Jet petrol engine that is offered in the Avventura Abarth. Fiat claims that the Abarth-powered Urban Cross can sprint to 100kmph in 9.7 seconds and delivers 17.1kmpl, but we still have to test the car. Crank the engine and it idles with a gentle note. Our drive started from Viman Nagar in Pune where we were greeted with dense Monday morning traffic. The petrol motor felt as refined and smooth as on the Avventura and the Punto Evo, since the overall characteristics of the motor have been retained. Once the tacho needle crosses the 2,000rpm mark, there is ample power to play around with. Push the throttle further and the meaty 140PS and 210Nm quickly become apparent. There is minor turbo lag felt, but a strong rush of power arrives at the mid range that spin up the front Goodyear 205/55 R16 tyres. 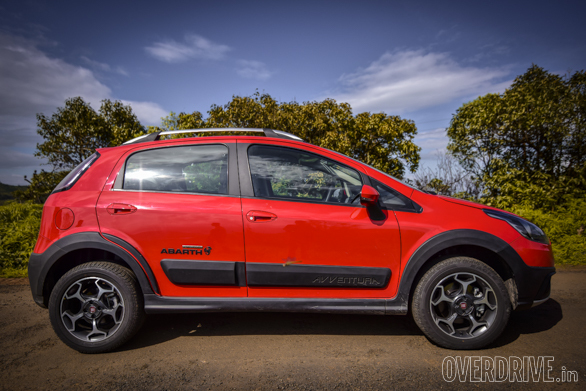 Like with the Avventura Abarth, all this power can be a bit overwhelming and generates a fair amount of torque steer. My favourite bit though is when the motor crosses the 4,000rpm mark and the engine makes a sweet note and is in its element. Even cruising on highway is impressive as 100kmph arrives quickly and is at calm 2,500rpm. Coming to the option that might be the more popular choice, the diesel Avventura Urban Cross uses the same 93PS/209Nm making 1.3-litre Multijet engine that has been doing the duty in the other derivatives of the Punto. The diesel motor too feels refined and smooth. At the lower rev range, one has to wait until the turbo spools up at 2,000rpm, wherein it feels in its comfort zone. The NVH levels are impressive as the cabin is properly insulated from redundant ambient noise. The diesel motor with its torquey nature is more suited for the highways where it can comfortably cruise at higher speeds. 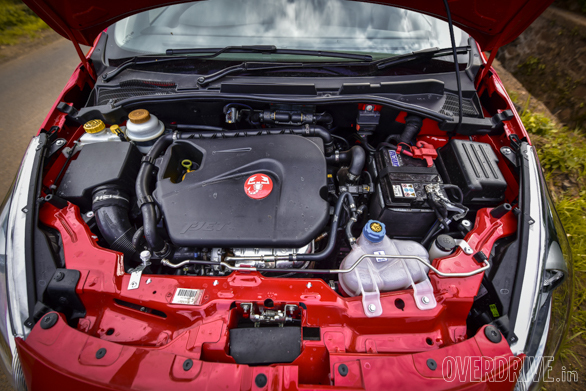 Both engines are mated to a 5-speed manual transmission. The unit does a decent job, but the spongy feel and the long throws of the gearbox along with the long travel of the clutch pedal reduce the joy of using the gearbox. This also hinders squeezing out the maximum of the 140PS Abarth motor. 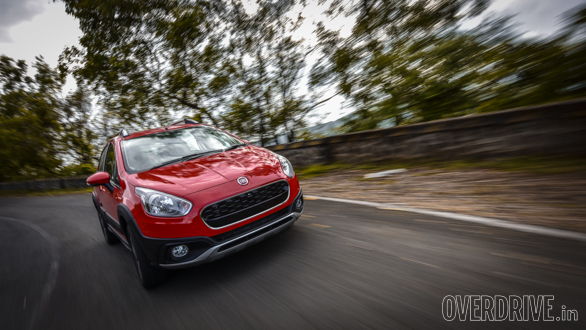 Ride and handling is Fiat's forte, and the Urban Cross retains this character. 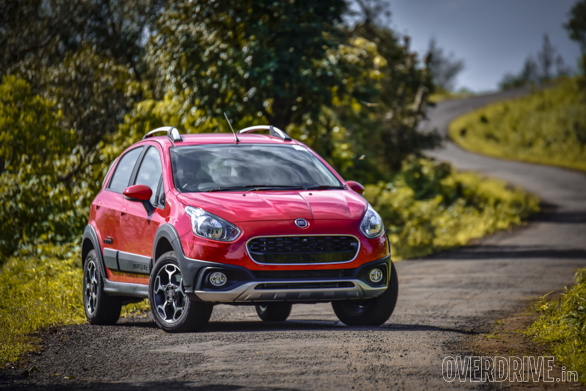 Fiat claims that the suspension in the Urban Cross has been tweaked to offer a softer ride compared to the Avventura. However, the difference is small, and like the Avventura, the Urban Cross too rides really well on bad roads. At normal city speeds, the set-up comfortably absorbs the disturbances caused by potholes and speed breakers. Even on the highway, the suspension manages to keep the cabin completely isolated from the uneven undulations of the surface. The Urban Cross has a ground clearance of 205mm, but it still offers good dynamics on the road. The steering does feel heavy at low speeds, but it still feels easy to manoeuvre in the city. The large turning radius can be tedious though. The absence of a spare wheel has also improved the judgement while reversing the car. Fiat doesn't offer a reverse parking camera or sensors, but they are available as options. In terms of safety, the Urban Cross Abarth gets disc brakes on all four wheels while the diesel only gets it on the front and drum on the rear wheels. Braking is impressive on both the versions. ABS and EBD are offered as standard on the Emotion and Dynamic variants. 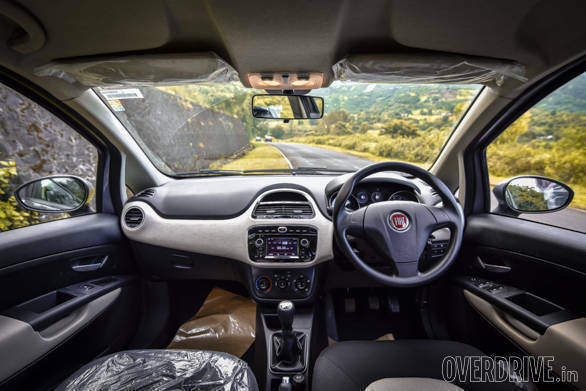 So why the Fiat Avventura Urban Cross? 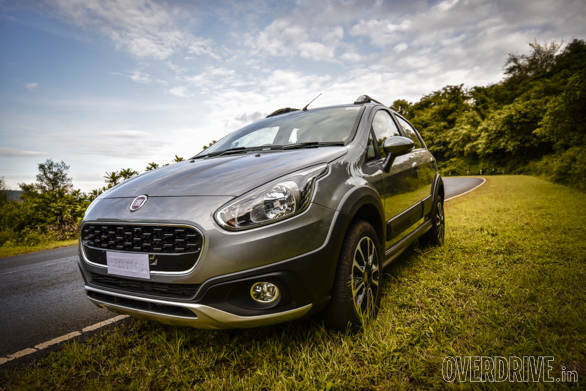 The Italian brand states that the regular Avventura is a popular choice in the Tier-II cities. The Urban Cross, on the other hand, will be targeted towards the urban clientele living in metro cities. Fiat has already announced that it is working on network expansion as it believes that is one of the prime reasons it is not doing well in the country. The Urban Cross ticks the right boxes and does look promising at least in our first impression. 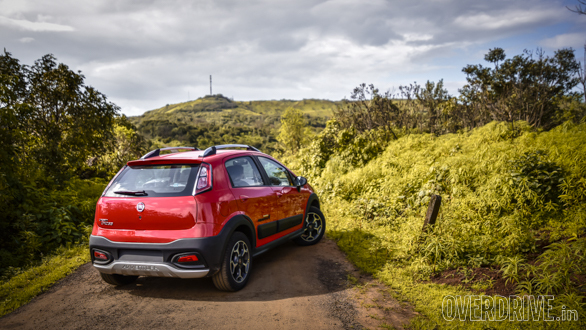 Fiat is looking at pricing the Avventura Urban Cross very aggressively, something that will be confirmed at the official launch, which is scheduled for the end of this month.